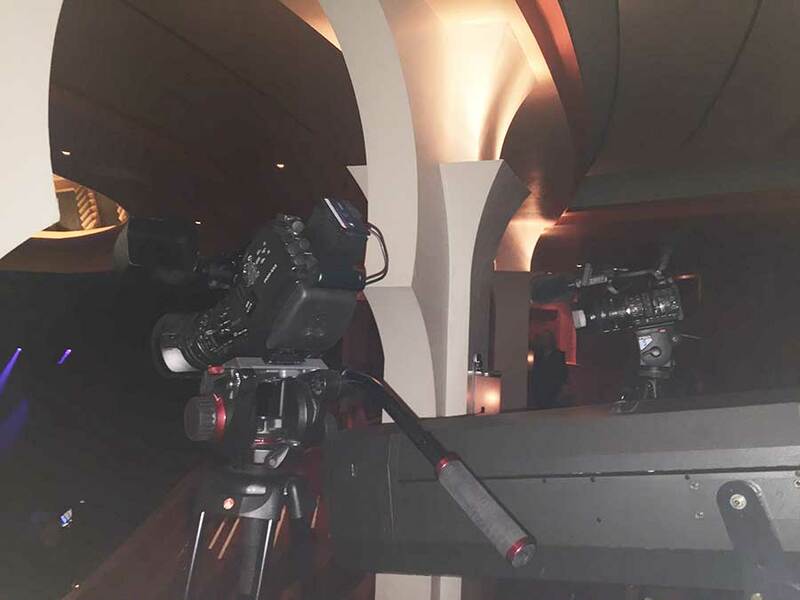 Picture above of 2 professional video cameras. Filming a Bryan Ferry concert at the Dome in Brighton. Video Image Productions were contacted last week by Bryan Ferry’s son Isaac. He wanted his fathers concert filmed. Originally Isaac wanted 3 video camera crews to cover the concert. Unfortunately we were only contacted in the morning and the performance was for that same evening. This limited our camera options because 2 of them had been hired out. Video production Sussex. The Venue. The Bryan Ferry concert was at the Dome in Brighton. Once we arrived outside the Dome in Brighton. I was asked to make contact with the road manager to obtain security passes. The video equipment was off loaded, and we began setting up the cameras in the circle of the theatre. Panasonic. The camera I used was my Panasonic HCX 1000. With its 20 X Leica zoom lens. It made a ideal camcorder for close up and wide shots of the Concert. Camera 3 camera. The third camera operator was Ben. Ben was from a Brighton based company and shot different angles from the circle using a Sony EX3. I also bought my Canon 5D with a 70-200mm F.28 IS lens. Also 3 Canon batteries and plenty of memory cards. This was the Camera used by Issac. The only problem with this was that Isaac was not aware. Of the 12 minute continuous record time limit of the Canon. But I think he got some useful shots to cut into the main camera footage. We did not edit the video. But the sound for the finished video sound was to be taken from the 8 track mixing desk at the concert. At the end of the evening Isaac copied the video files. From the memory cards to his Apple Mac book Pro. As well as providing video production for Sussex. We also cover the whole of the UK. We cover event videos. Promotional video and web sales videos.